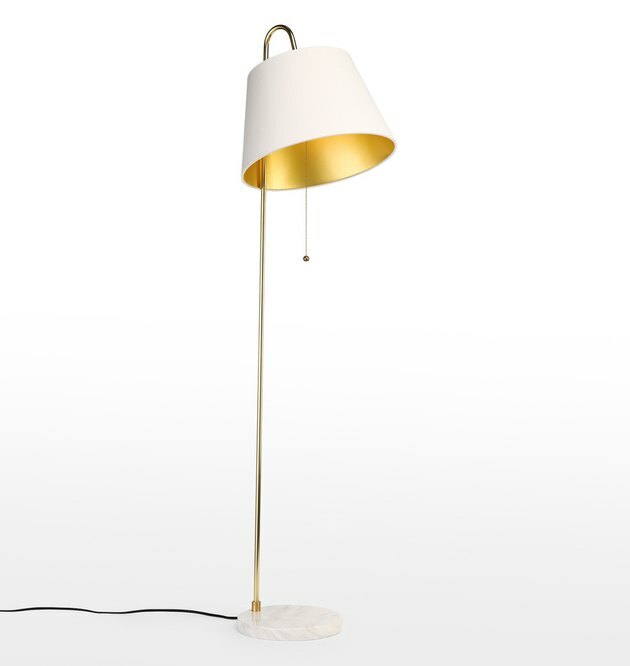 The right floor lamp can go a long way to completing a room. 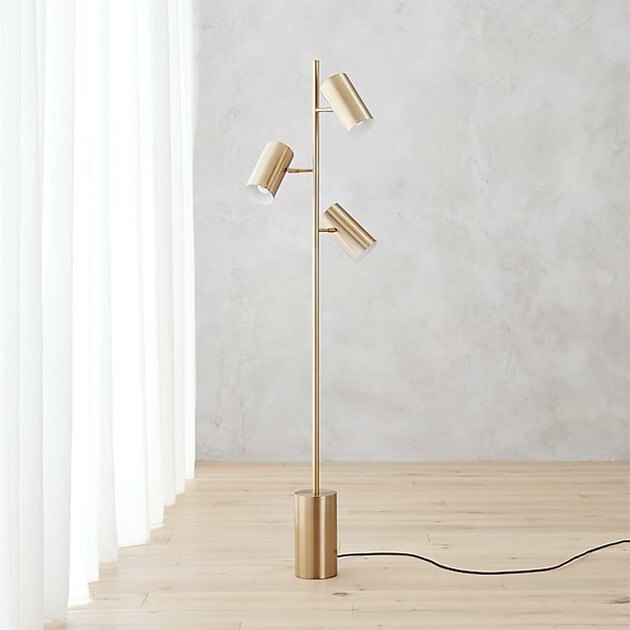 More than just a functional light fixture for your cozy reading nook, the modern floor lamp is a statement piece — a reflection of your unique personality and style. Like the icing on a cake, the lighting in your home should act as the cherry on top your carefully curated design. To help you narrow down your search, we have found 12 stunning fixtures that will add character as well as light to your modern abode. 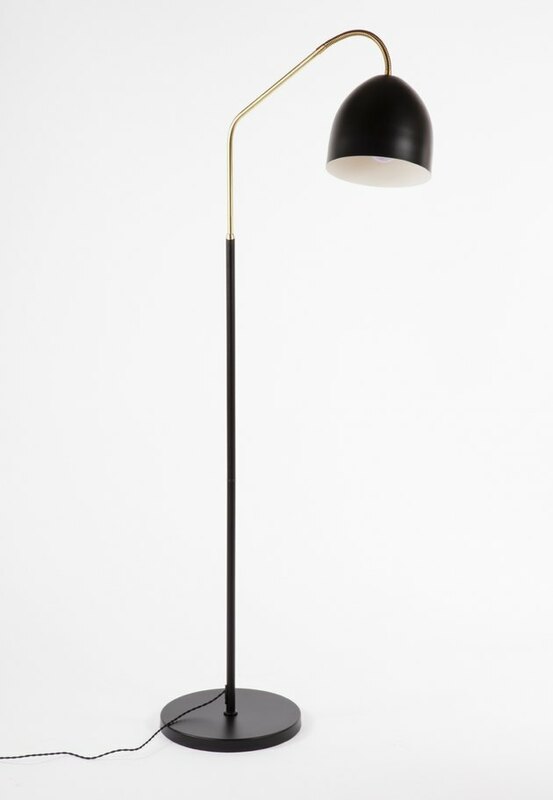 This handsome midcentury modern style lamp features a warm brass finish complemented by bold black accents. Good looks paired with an adjustable cantilever design, what's not to love? 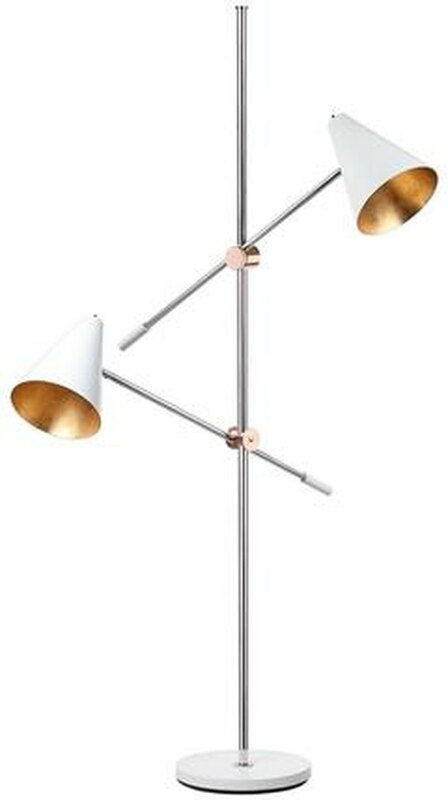 Designed by Jannis Ellenberger, this gorgeous three-lamp fixture is a study in multi-tasking. Featuring individual switches, you can choose to use one lamp at a time or all at once depending on your lighting needs. 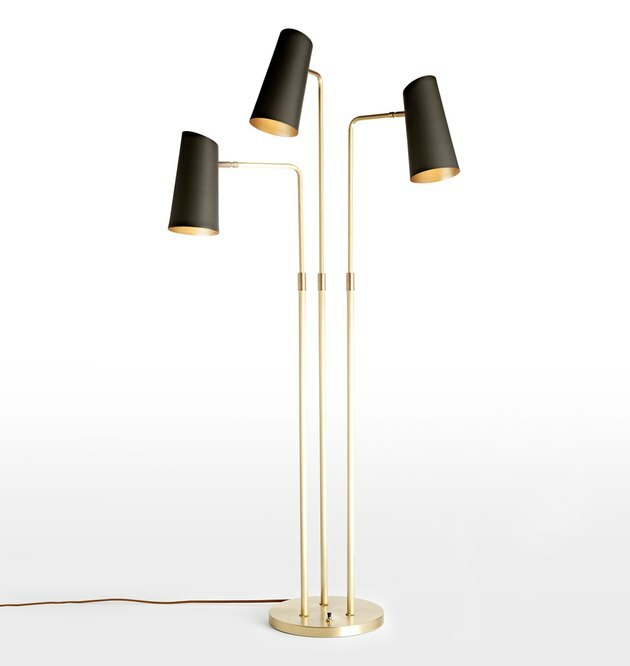 Perfect for reading, ambient, or task lighting, this little brass number is one purchase you won't regret. 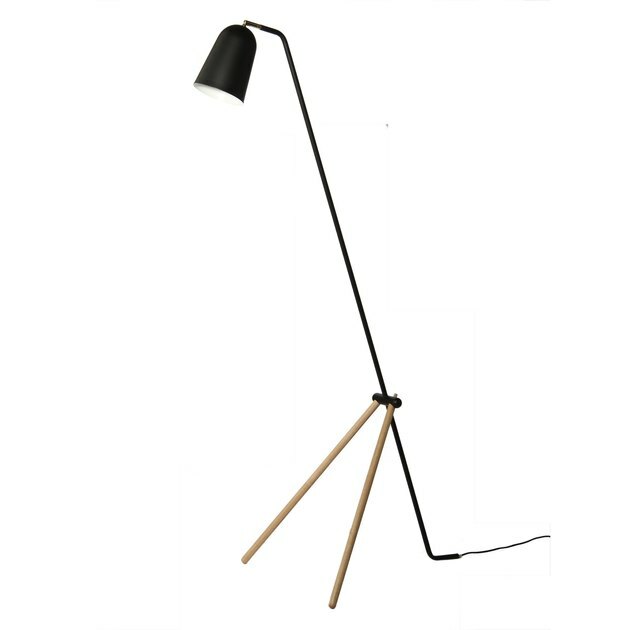 The beauty of industrial chic design is that it can blend seamlessly with so many other styles, and this floor lamp is a perfect example. The sophistication of the artisan glass bell shade combined with the utilitarian, adjustable metal arm are a match made in lighting heaven. 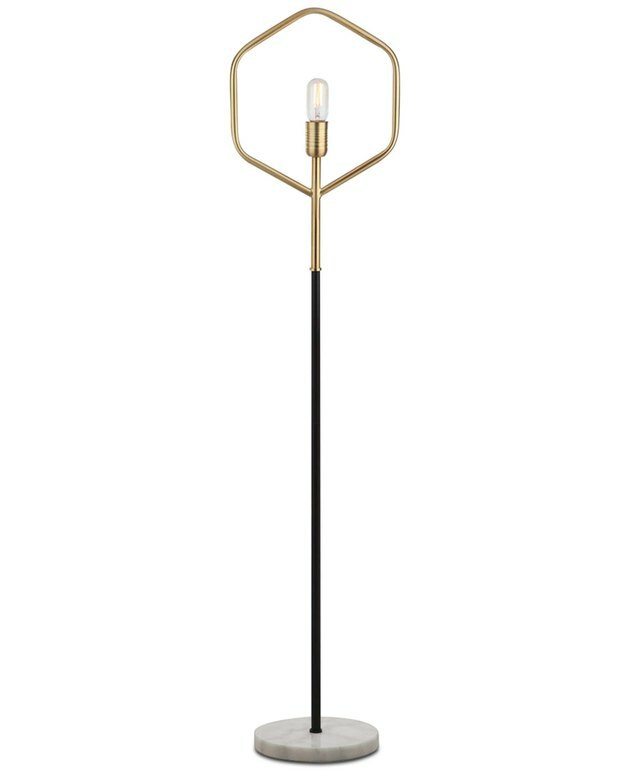 Portland-based architect Brendon Farrell was "inspired by the droop of a flower's stem," when he designed this sweet floor lamp for Rejuvenation. Details like the brass-lined linen shade, polished marble base, and pull chain socket really make this fixture sing. 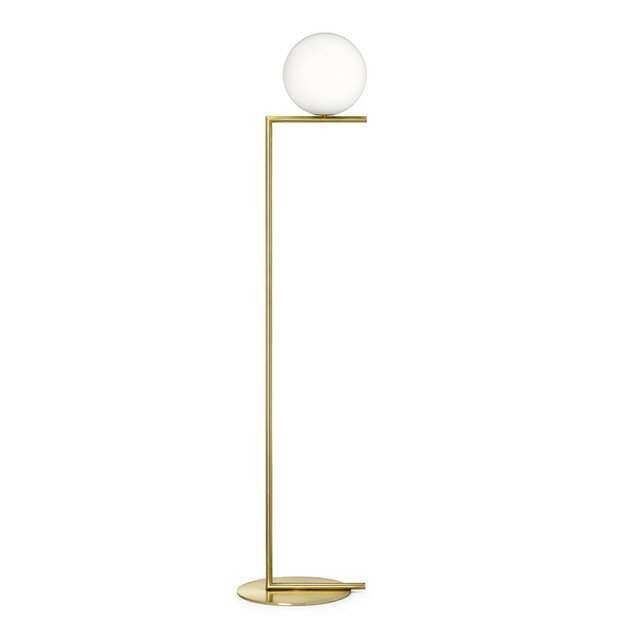 Santa & Cole's modern take on the traditional tripod floor lamp is an applause-worthy success. With a well-thought out design that is flexible enough to work in both transitional or modern digs, this fixture provides the perfect luminous backdrop to complement your perfectly posh pad. Both unassuming and bold, this modern bell-shaped shade perched on a slender metal and brass stem creates the perfect downlight wherever it goes. 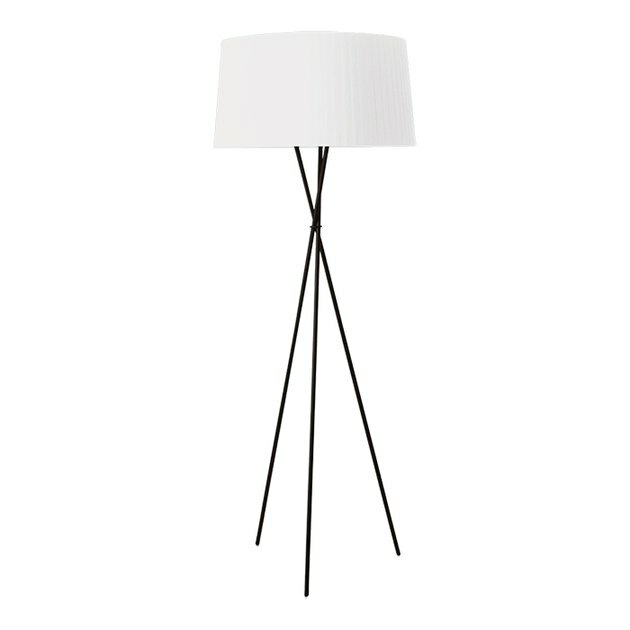 Simplistic in its form, this high style floor lamp is ready for its close up. The chic black and polished gold-finished frame and marble base make the perfect pair. 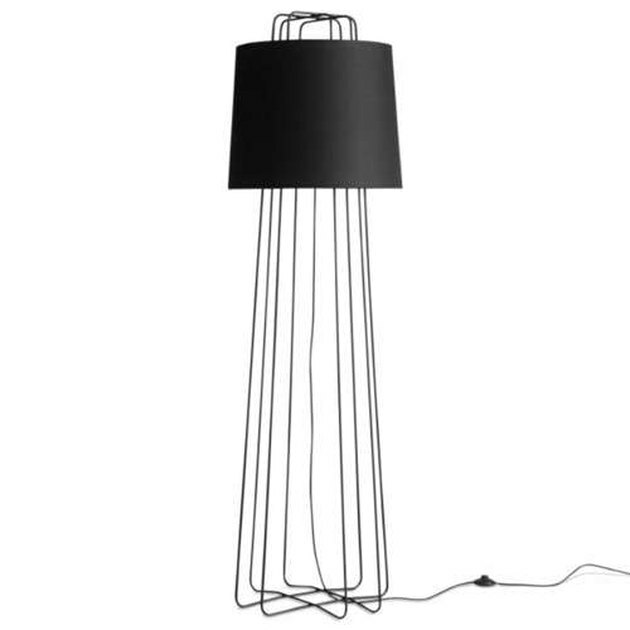 Made from powder-coated steel, this dynamic floor lamp packs quite the punch. Available in a variety of color options, this fantastically light and modern design is topped with an oversized cloth shade. Consider us charmed. Inspired by furniture pieces on display in the modern art galleries of Barcelona, this dynamic floor lamp is a piece of art itself. Its sculptural dual-arm design adds an interesting visual element to your home while allowing you to direct the light where you need it most. 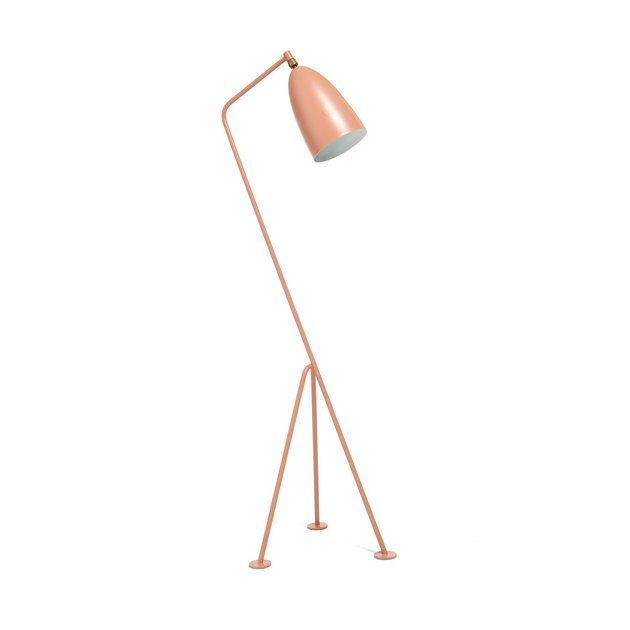 With its long graceful neck, this lamp calls to mind another fauna-inspired predecessor in lighting design — the iconic Grasshopper Floor Lamp. The Giraffe, a classic in its own right, is composed of delicate wooden legs that offer both support and a Nordic sensibility to this refined fixture, ideal for modern sanctuaries. 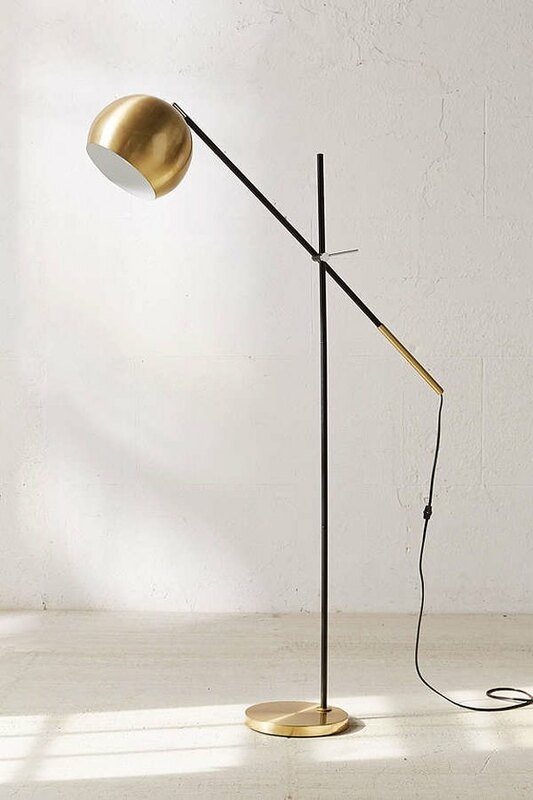 Inspired by a contact juggler, designer Michael Anastassiades, created this straightforward, geometric floor lamp that demonstrates the beauty of balance. The luxurious materials — blown glass opal diffuser and elegant brass-finished steel frame — work together effortlessly, resulting in a striking fixture that exudes modern sophistication. 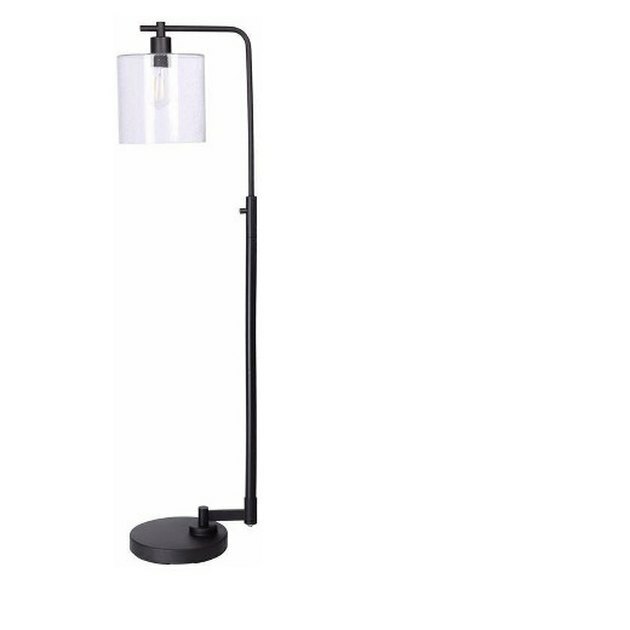 When you need a floor lamp that can offer both soft ambient uplight and targeted down light, this three-arm fixture will be sure to deliver every bit of light you crave. Designed in collaboration with Cedar & Moss, this glamorous lamp's adjustable oil-rubbed bronze shades and brush satin brass-finished frame make a dazzling pair. A timeless classic, this 1940s reissue is the brainchild of iconic Swedish designer and architect Greta Grossman. 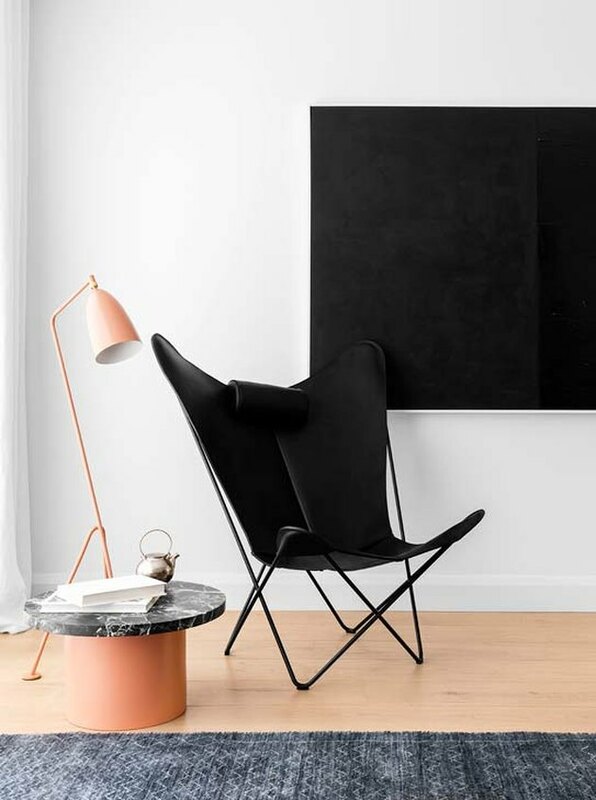 The trademark tripod frame with elongated conical shade is made from powder-coated steel and aluminum. This modern gem is available in an assortment of neutral colors, but of course we're fans of the oh-so-popular millennial pink hue!